Chemtrails. When you hear the word you might instantly correlate it with ‘conspiracy theory,’ but this couldn’t be further from the truth. Just because a neurosurgeon speaks out about them does not constitute it as truth. We don’t base our evidence of somebody observing lines in the sky and instantly deeming them as harmful chemicals designed to increase the rate of human ailments as proof. Although there is much merit in observing a phenomenon and listening to your inner voice/intuition to see if something doesn’t seem right, there is also merit when it comes to factual evidence regarding the chemtrail phenomenon and that is why more people within the mainstream world are choosing to speak out. 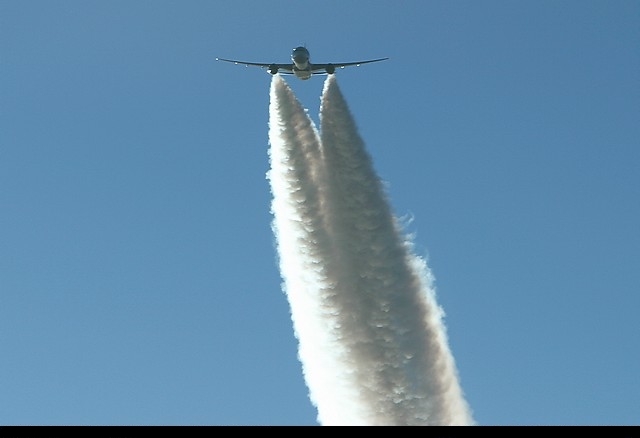 It’s clear that chemtrails are very different from contrails. There are multiple patents with regards to geoengineering and climate manipulation, one technique called into question is weather modification via chemical seeding(7)(8). These techniques are said to reduce atmospheric warming using the presence of heat trapping gases in the atmosphere. Materials used for these methods are oxides of metals which have high emissivity, and low reflectivity’s. A major cause for concern is aluminum oxide.